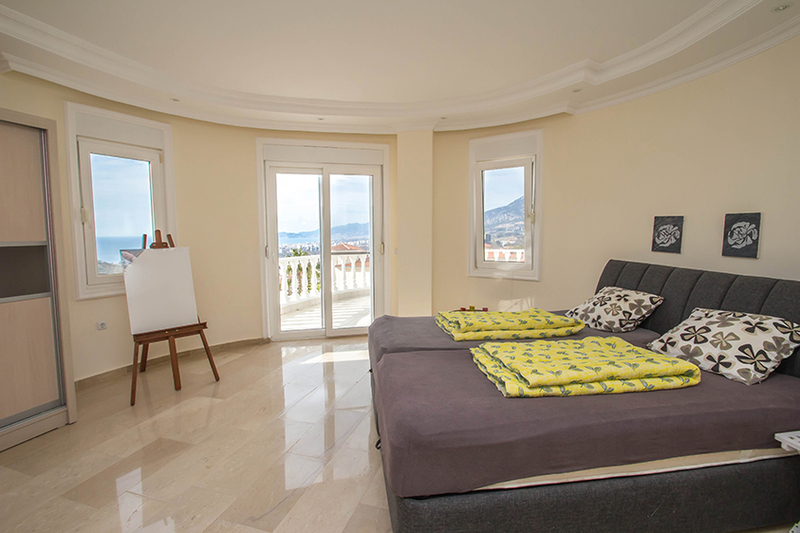 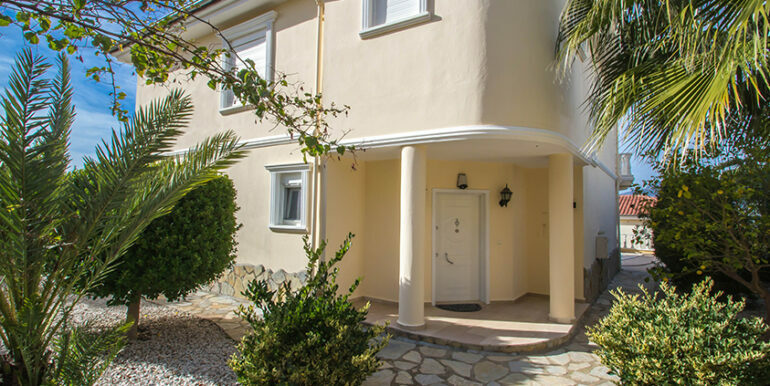 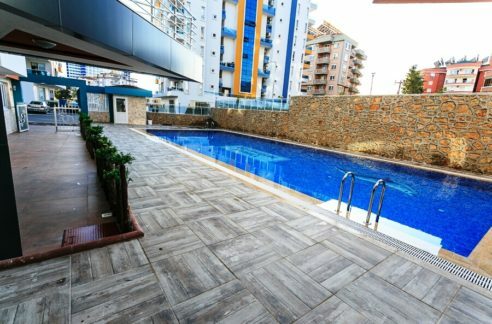 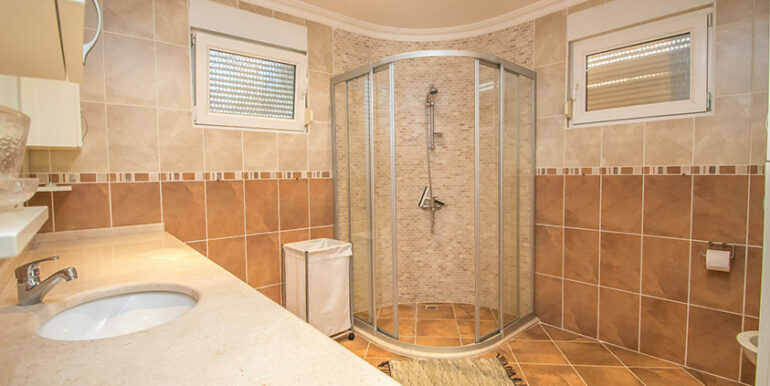 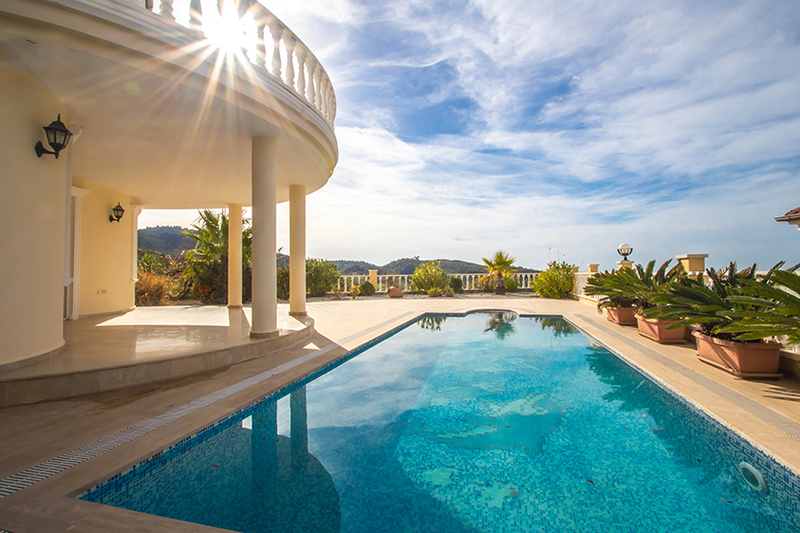 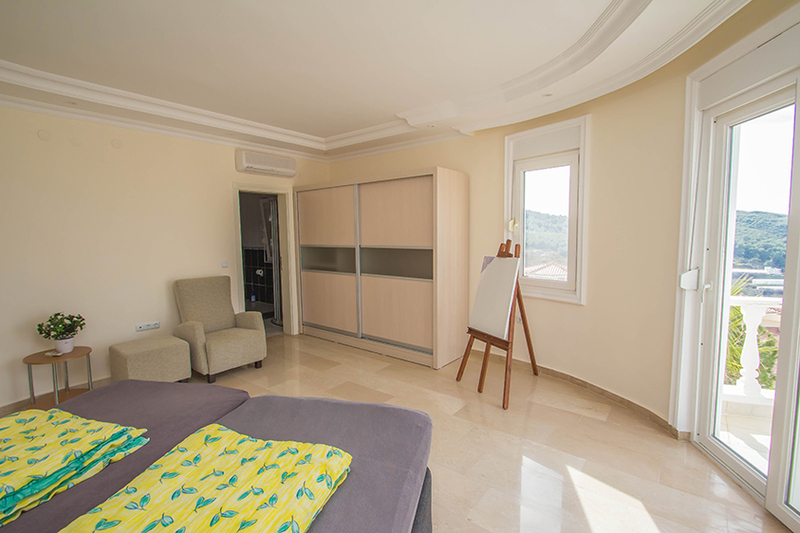 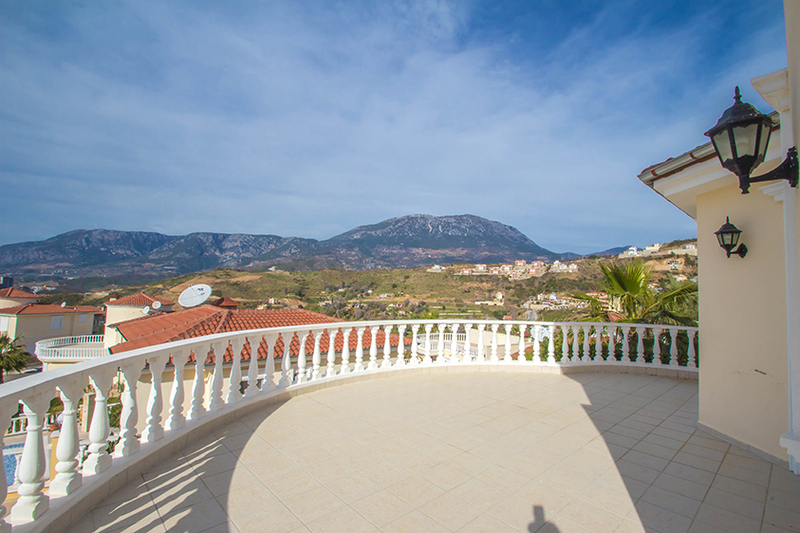 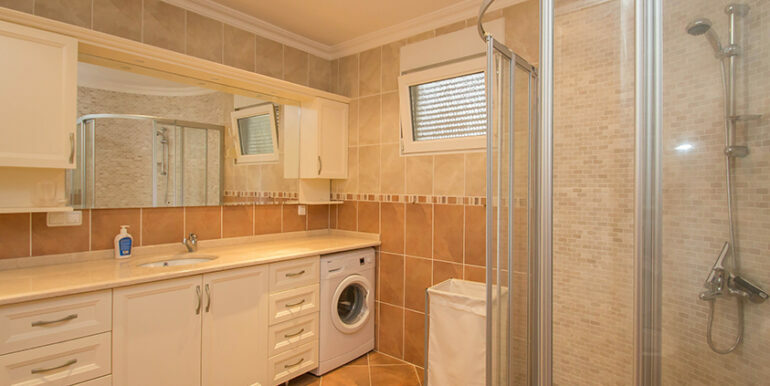 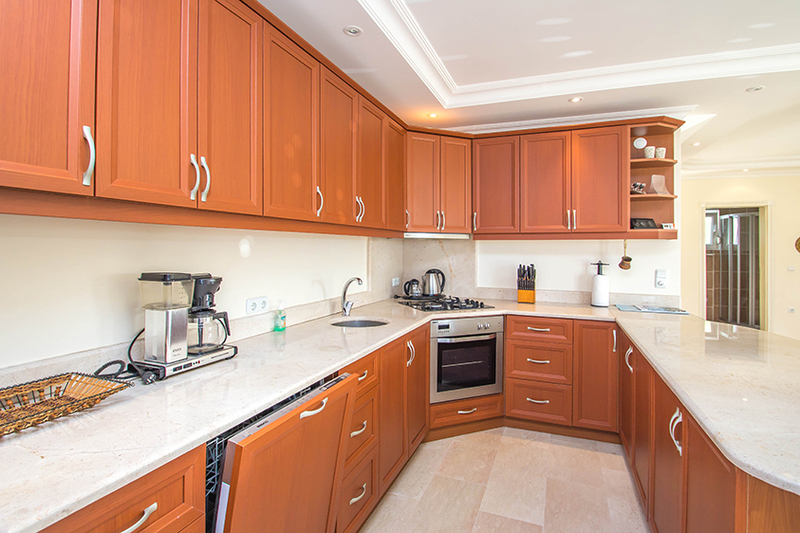 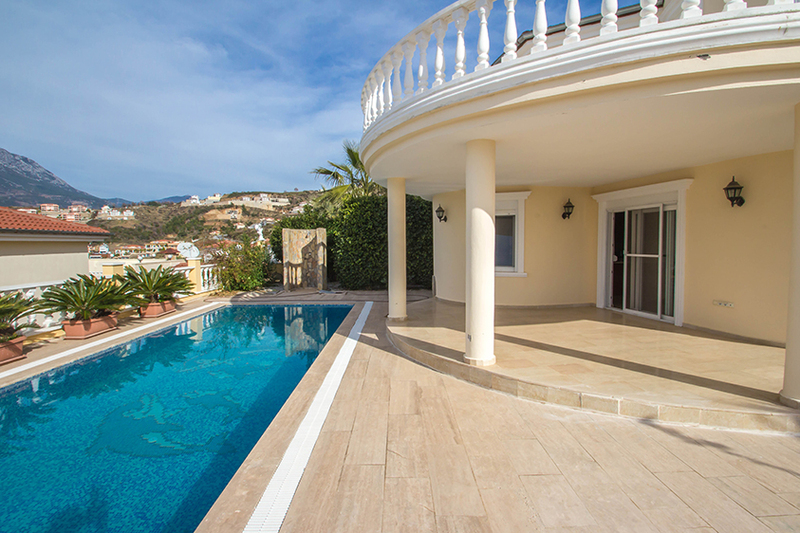 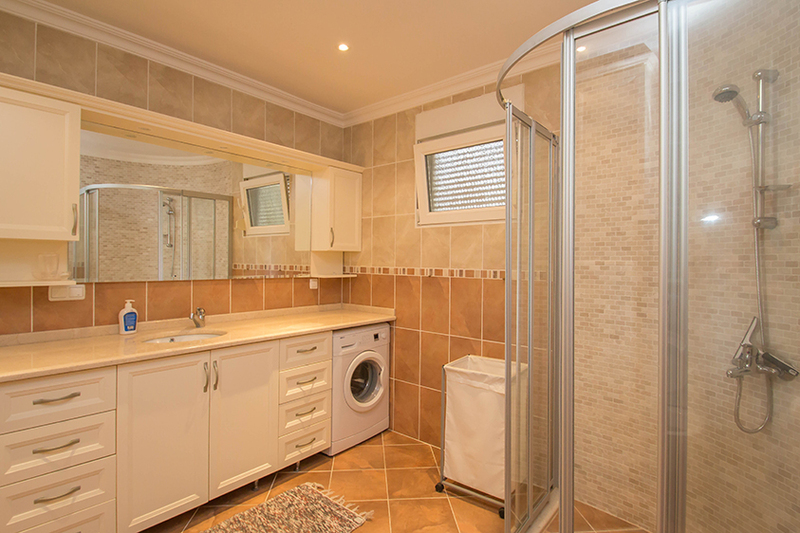 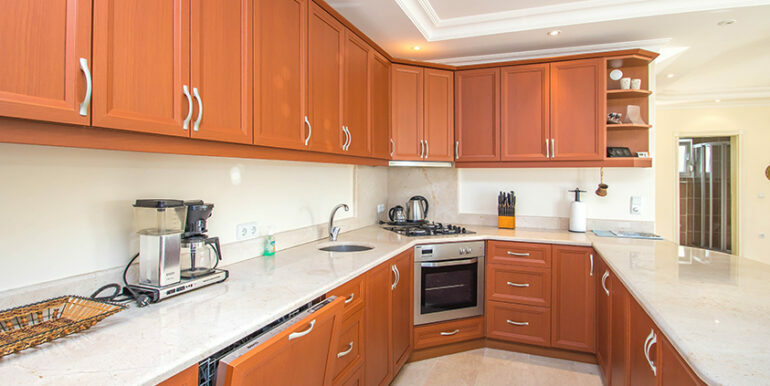 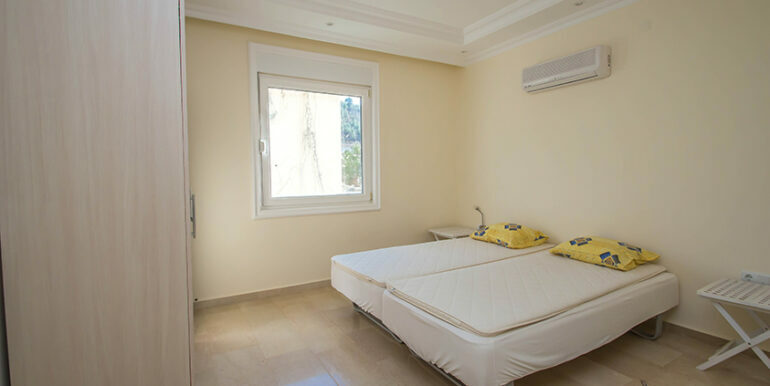 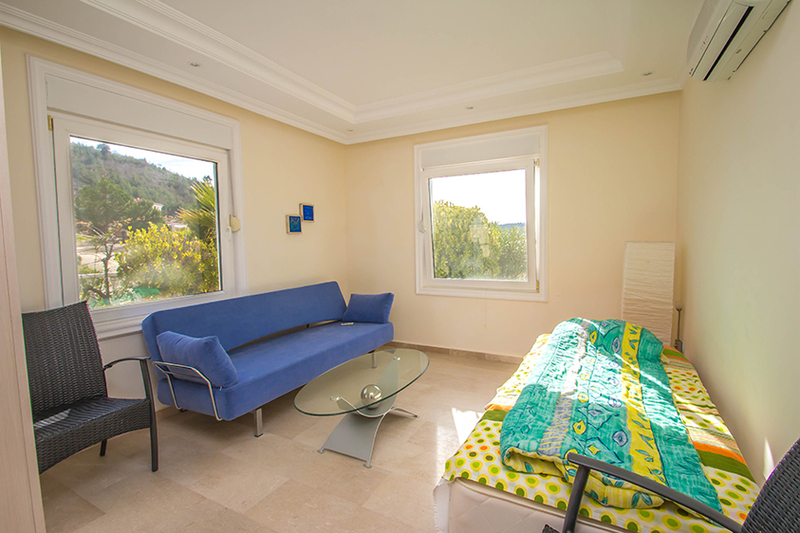 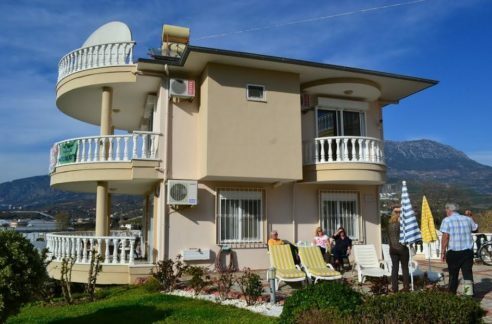 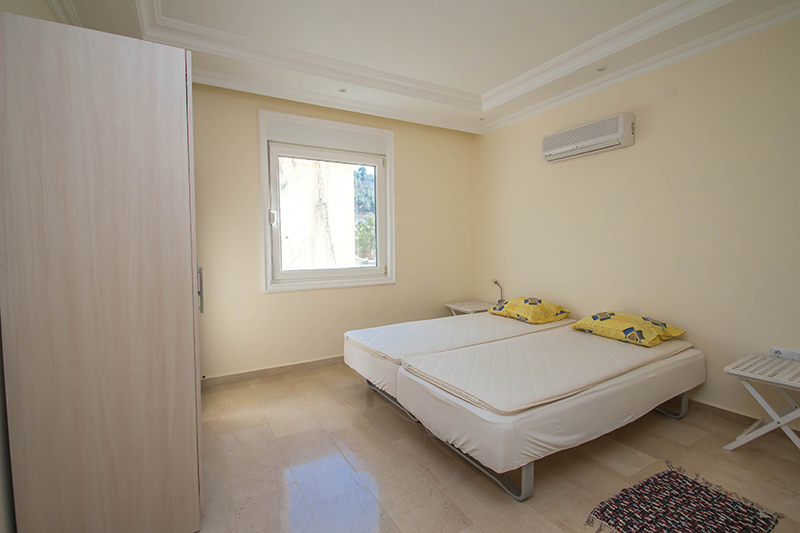 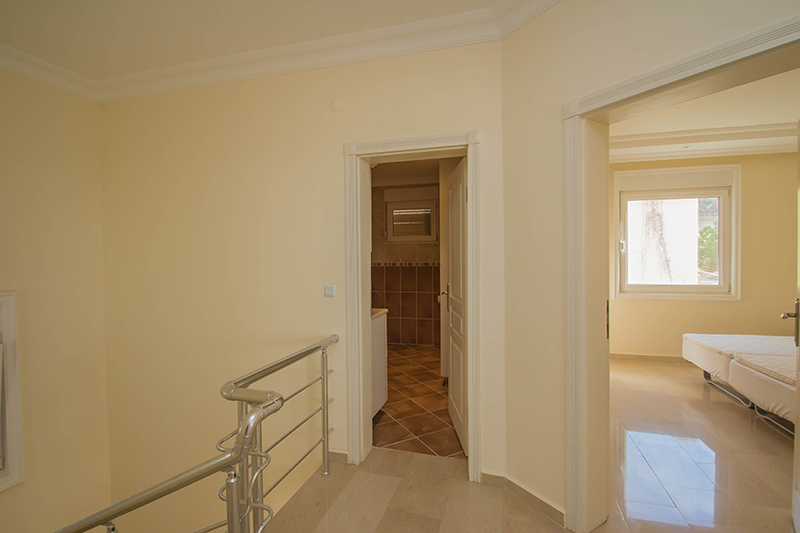 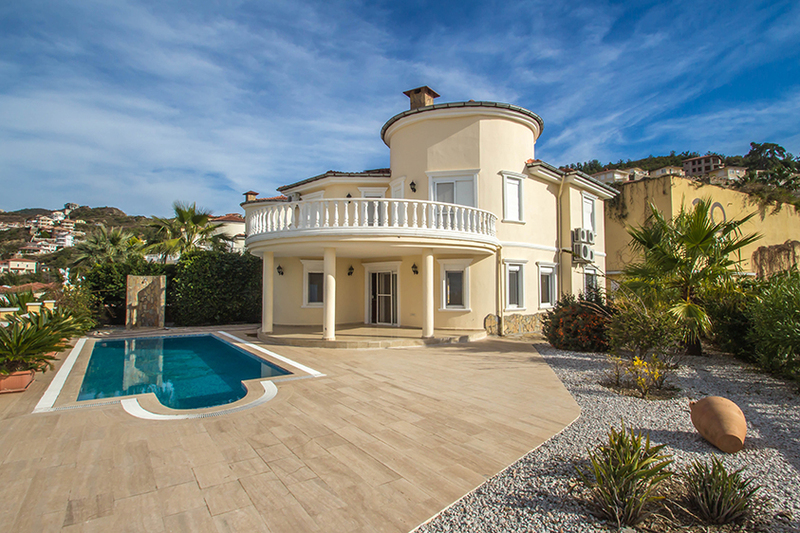 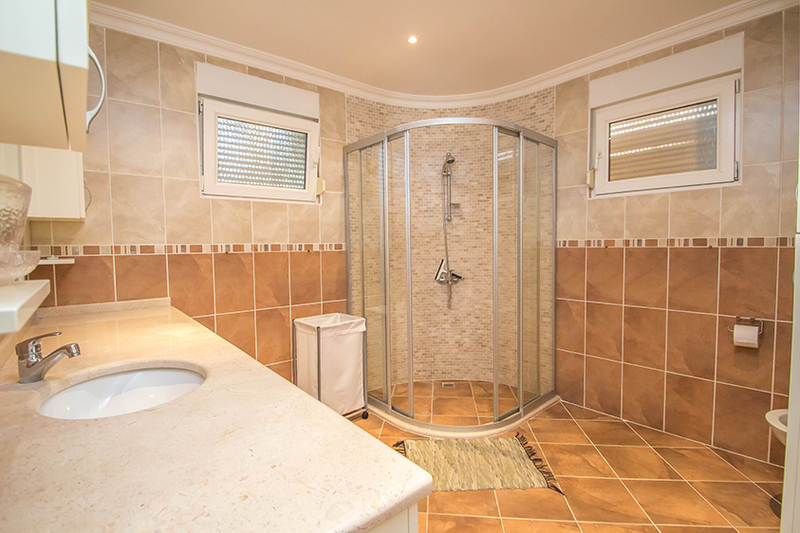 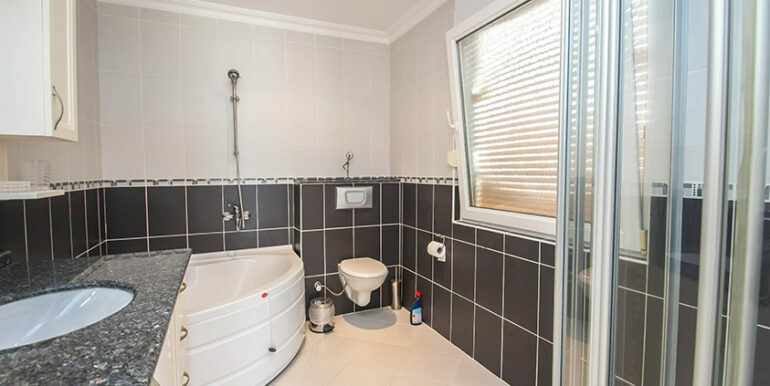 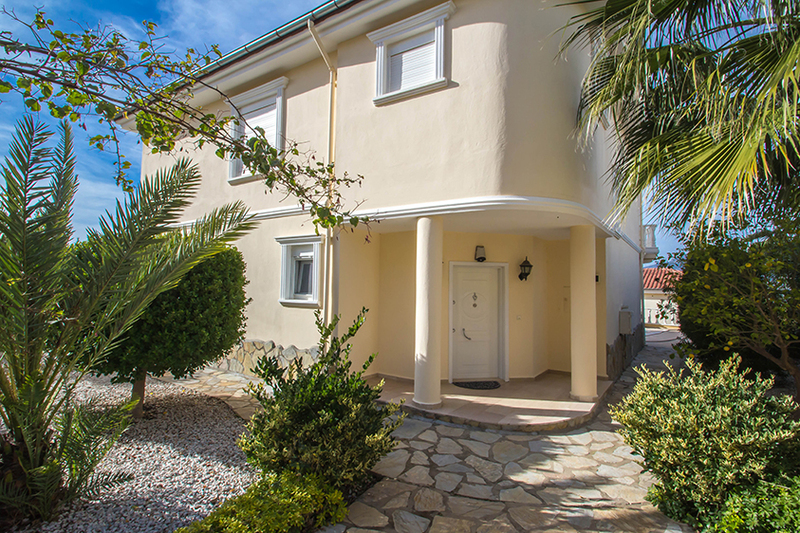 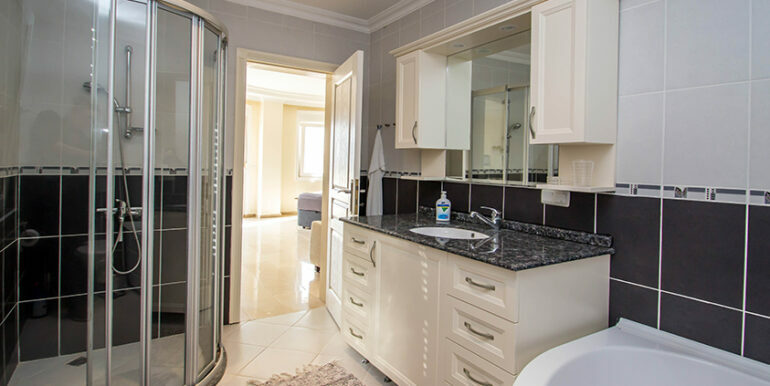 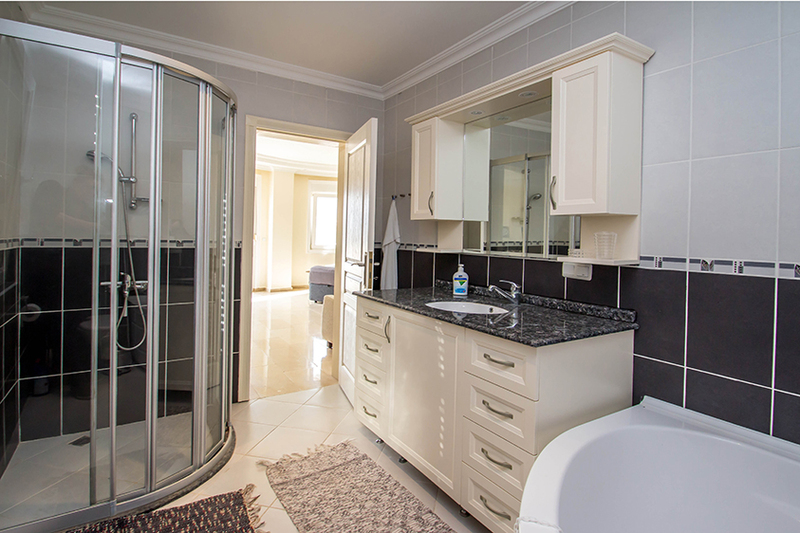 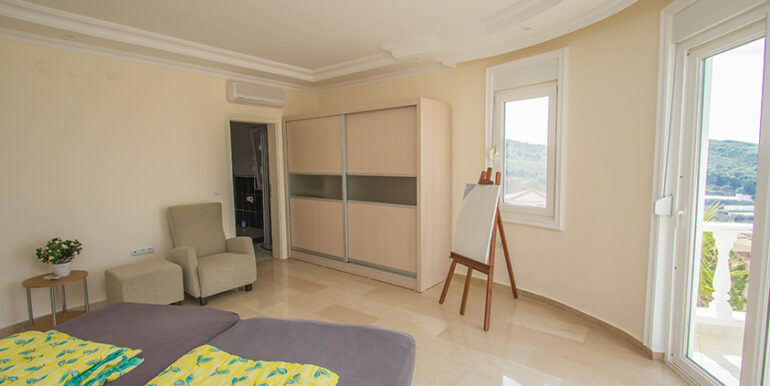 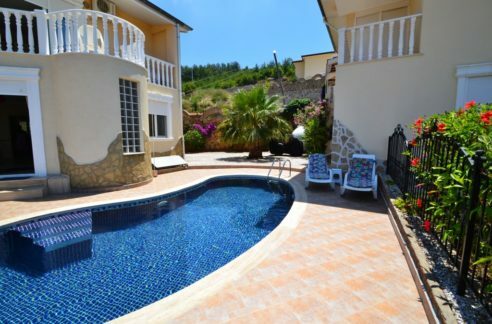 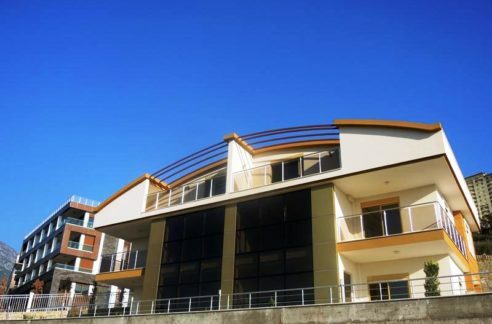 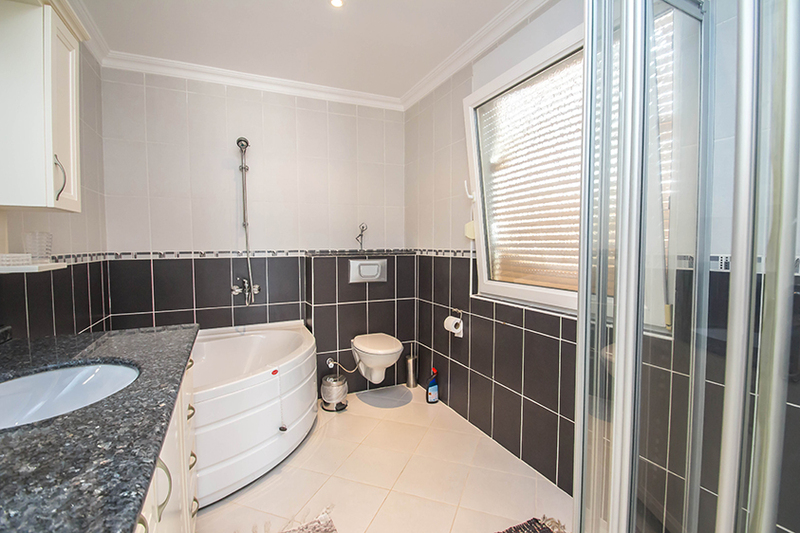 The villa is located in Alanya Kargicak. 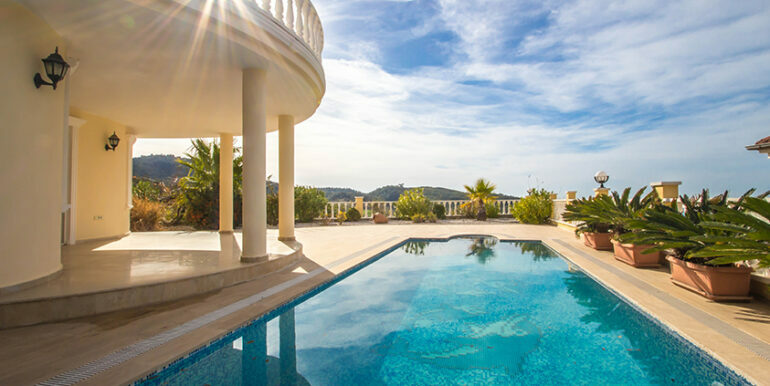 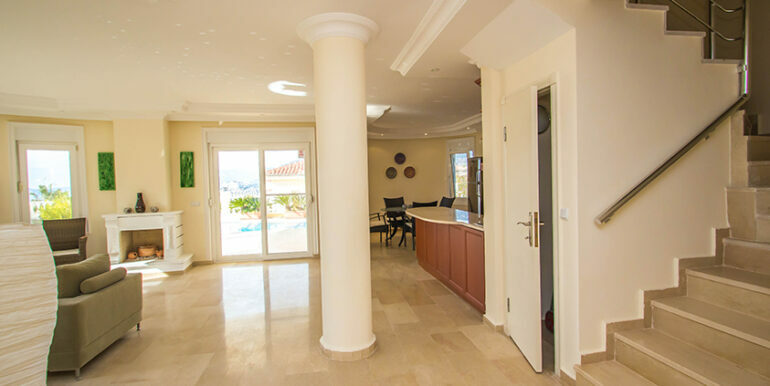 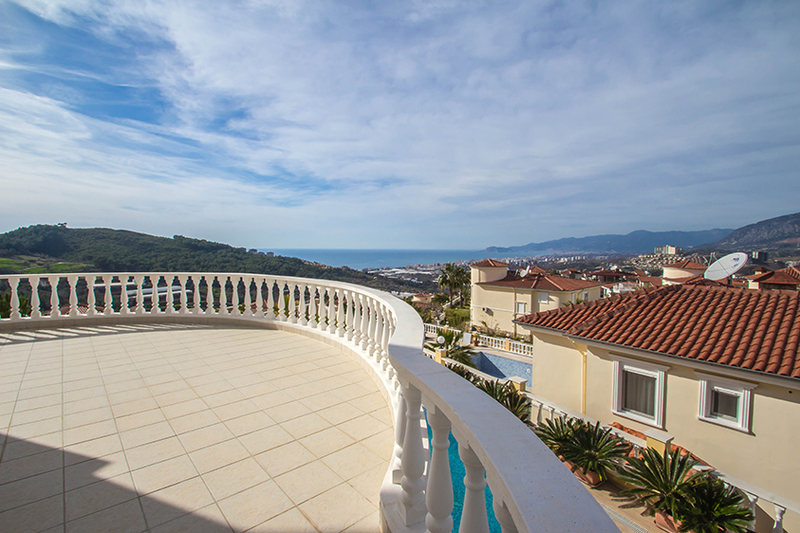 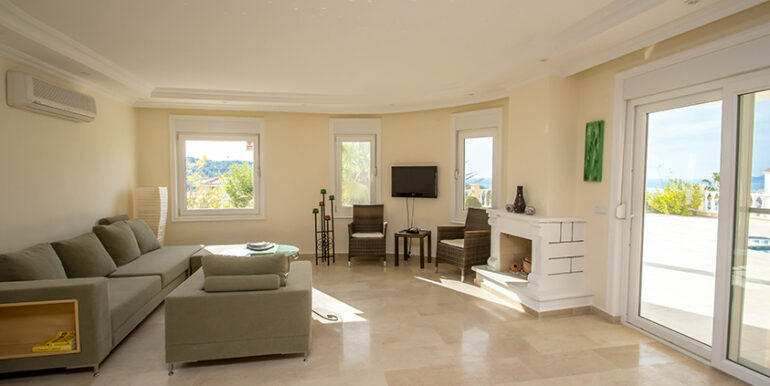 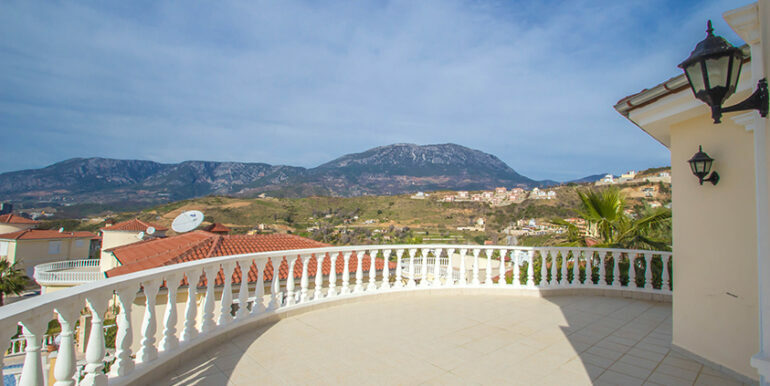 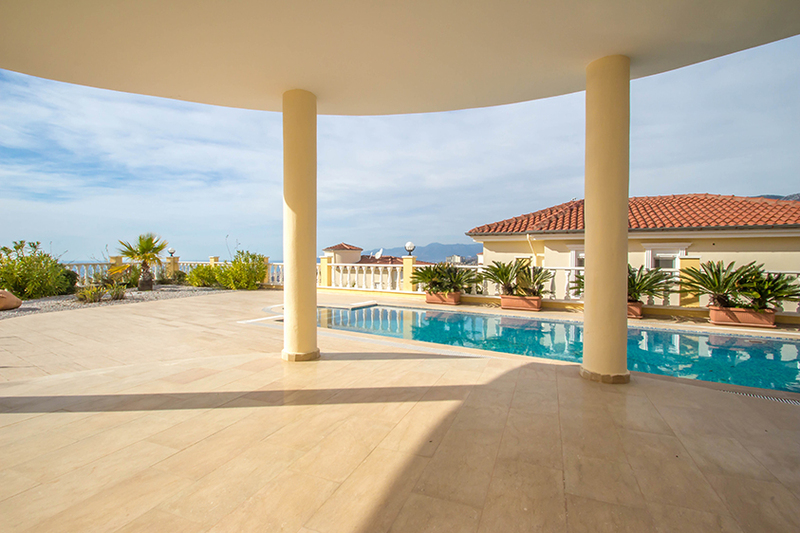 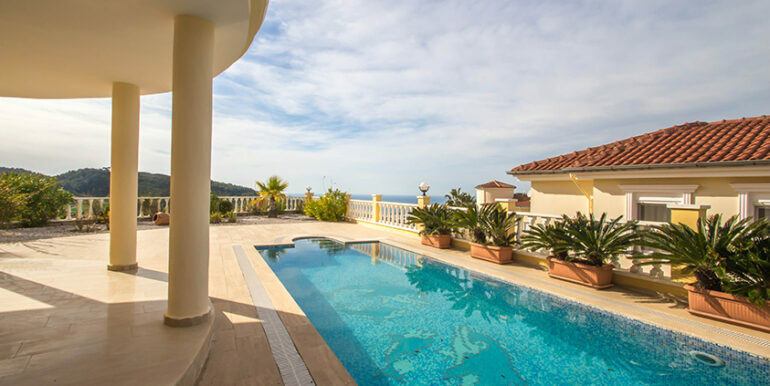 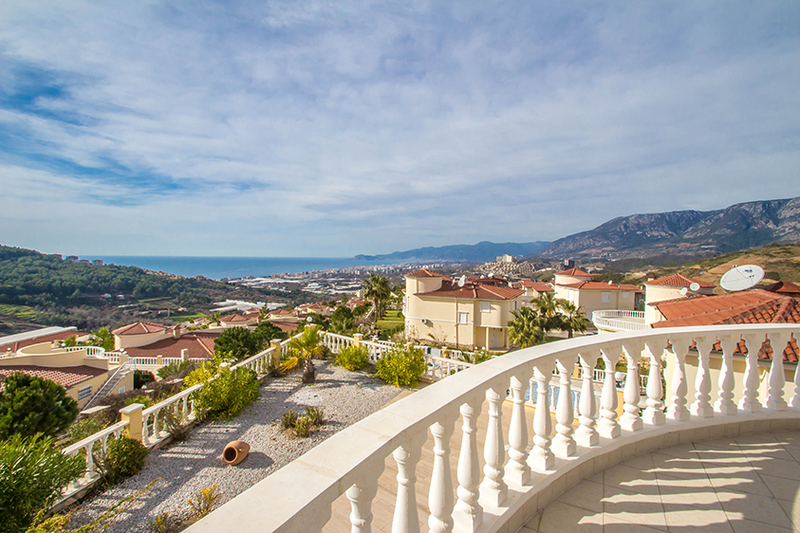 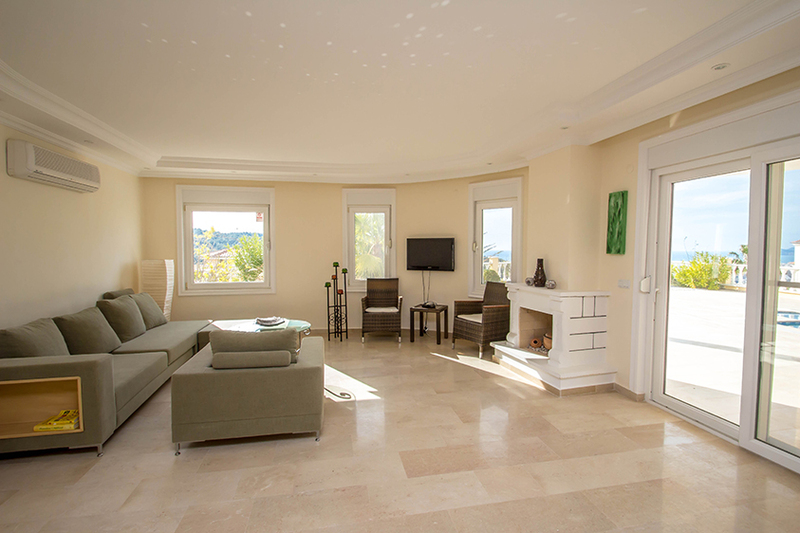 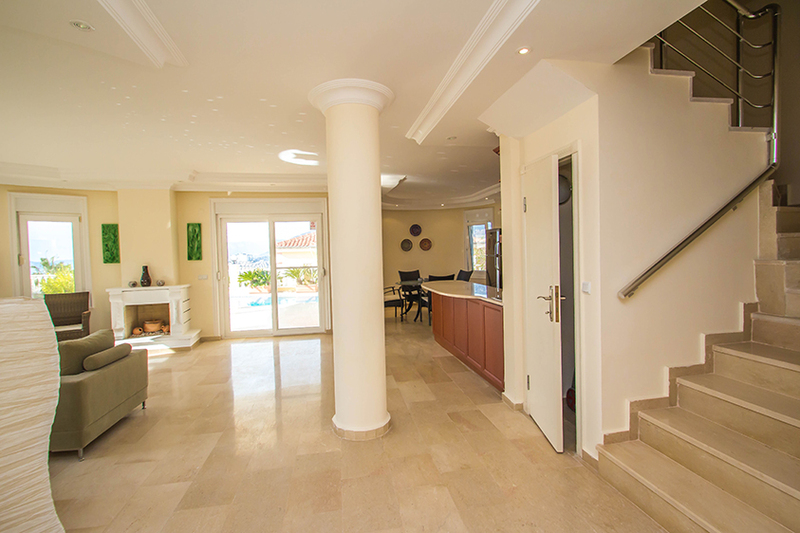 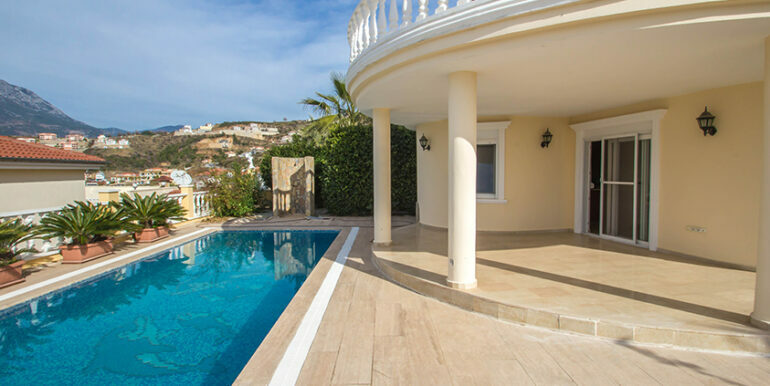 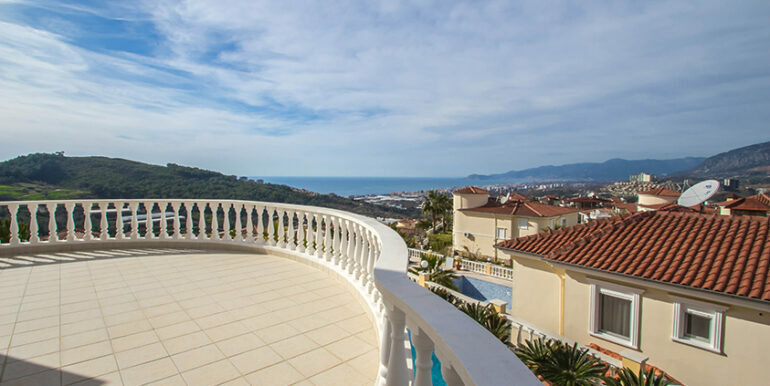 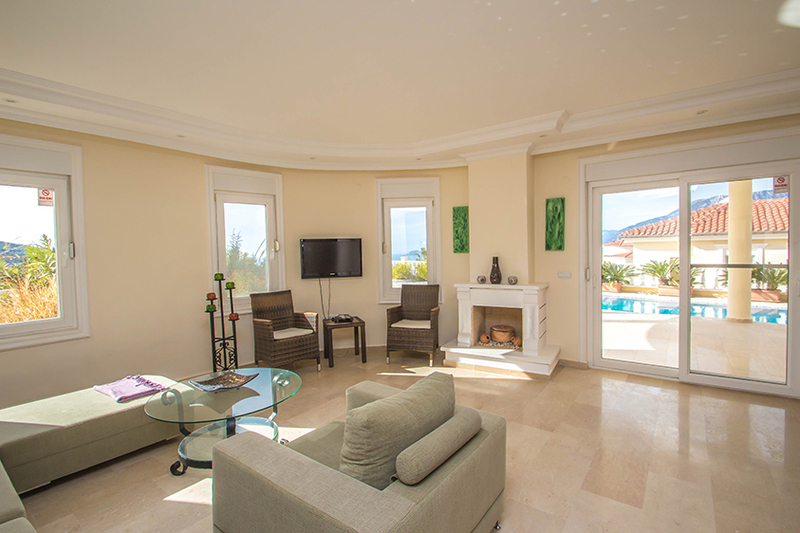 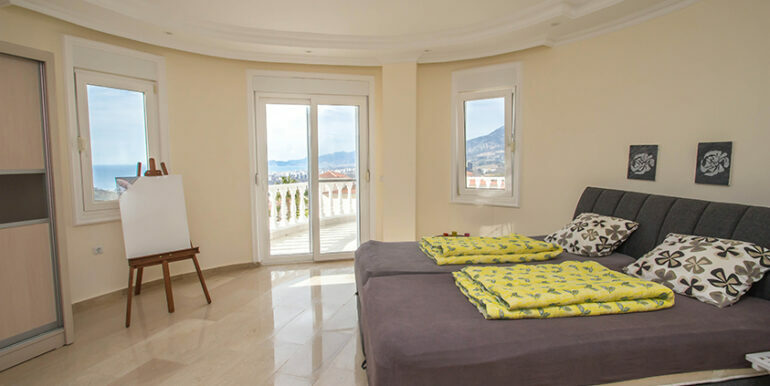 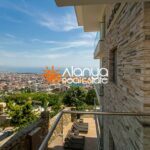 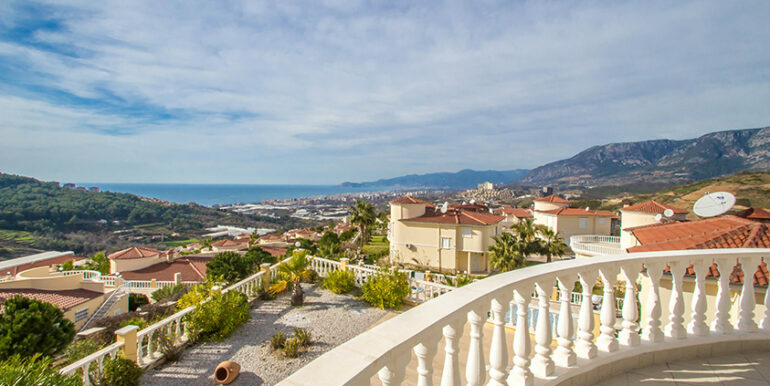 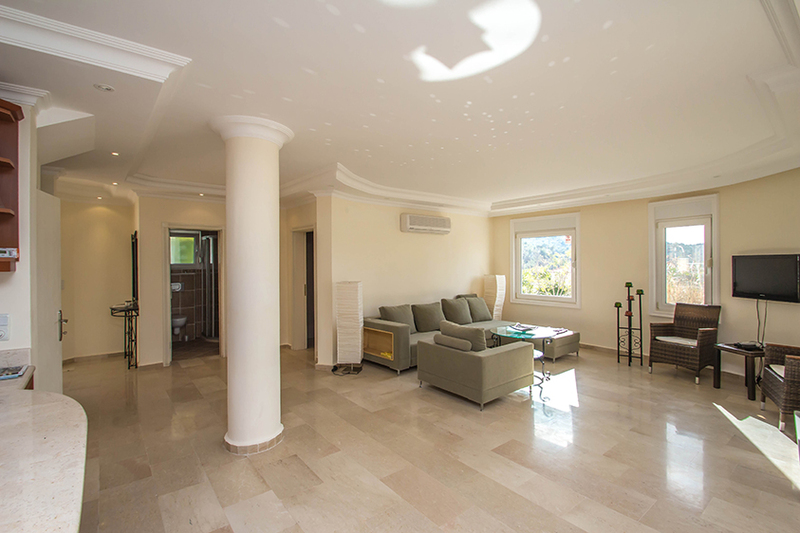 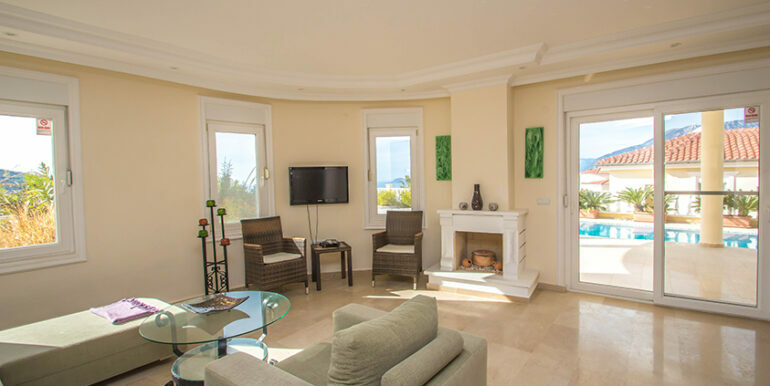 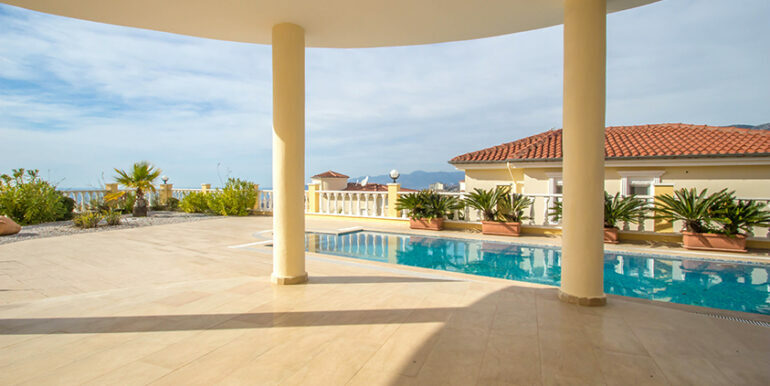 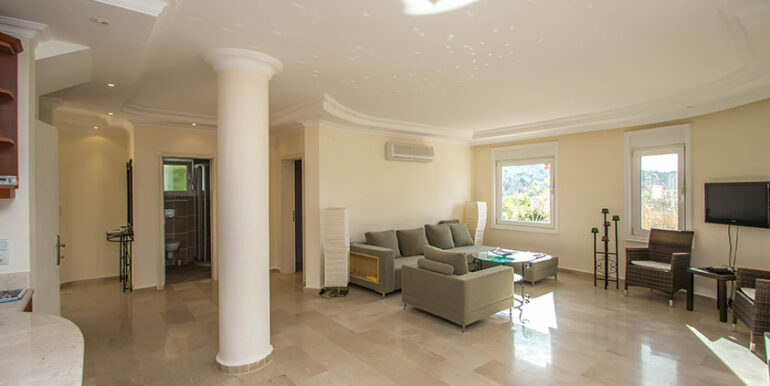 The villa is located on a corner plot (650 m2)with direct panoramic views of the beautiful Mediterranean Sea and the bay of Alanya. 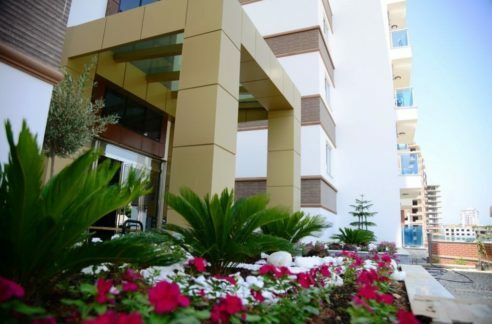 There is no way to get into the garden or on the balcony as the area is planted. 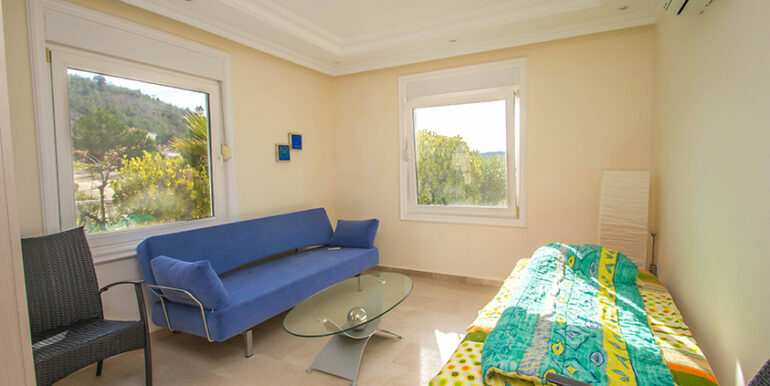 The villa has insect screens on all windows and doors. 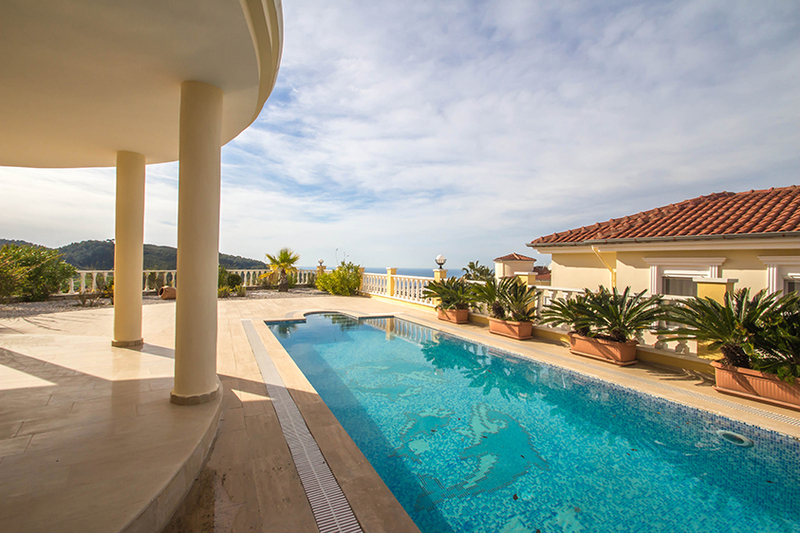 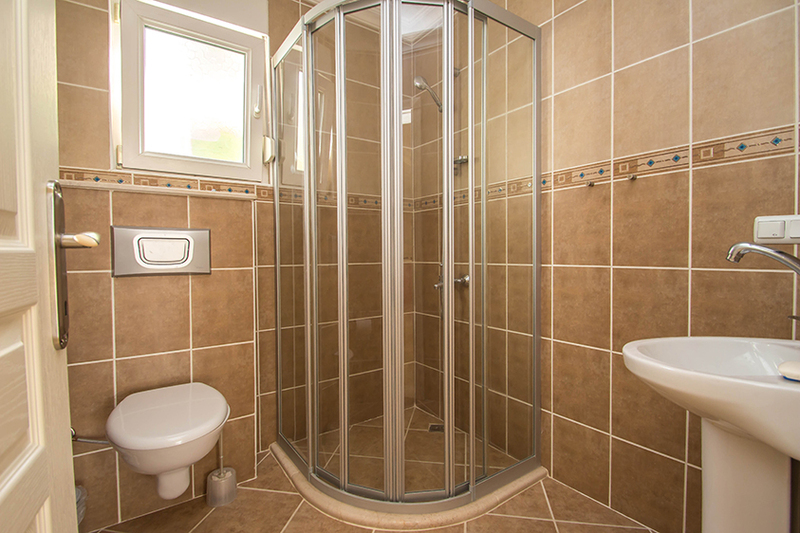 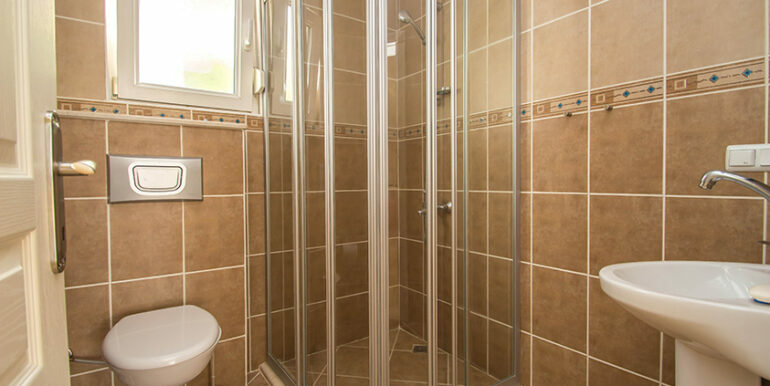 Large lawn around the pool and shower.